“Resource” is a very broad term. A lot of people will probably immediately think of “human resources”. It is true that resource management also includes HR management, but it encompasses much more than that. I have talked about time management and change management in the last couple of weeks. In the third part of this month’s blog series I’m going to talk about why resource management is so important for the success of a project. I know I say this about all aspects, but think about project management as a table and the different aspects as table legs. A table can only stand properly without falling over if you attach all legs properly. If a leg is missing or is too short it will destabilize the whole table. For project management this means that all aspects are equally important. It is important to mention that obviously you should not compare people with objects or treat them as such. People are human beings after all. However, because they fall into the same category in budgeting (“costs”) it is just more practical to put them into the same category in project management. Resource management is concerned with the question of how to use resources effectively, efficiently and economically. Resources cost money for a company, which is why they need to be managed carefully. Otherwise it can throw off the whole schedule if the right resources are not available when they are needed. Businesses need to make sure that they procure them in a cost-effective manner and that they will generate value for the company. Resource management ensures that the project is on time and scope through the effective allocation of resources. It also makes sure that team members understand what their roles and assignments are. Thus, it is an integral part of the project planning process. It is easy to lose track of all the details in resource management, but nowadays there are resource management tools that can help you easily assign roles and tasks as well as track time and budget. Project management is all about planning. Which is why you should also have a resource plan. This plan includes a list of all the resources you need and the when you need them. It is important to factor in lead times, i.e. the time it takes to procure the resource. This kind of overlaps with the managing of change because sometimes unforeseen events occur and you might have to adjust the resource plan. For example, the delivery of a computer part might be delayed or one of your team members had an accident and will be incapacitated for the next few weeks etc. First you need to assign your team members. The questions you need to answer are: Who is available and when are they available? Where and when will they have to work? What tasks will they have to do? In regards to materials and equipment you will have to ask similar questions, i.e. when and where will you need them? Task management tools (you will hear more about this next week) can assist you with allocating the right resources to the right work packages. Just like change management, resource management affects many parts of an organization. As the budget is limited you always need to weigh the importance of one resource or another and decide which project might need which resources more urgently. So you need to make sure that all your resources communicate with each other and that they all collaborate in order to reach a common goal: successfully completing the project. What you also need to do is to track what resources are actually being used and in case of material for example, how much of it was used. You need to compare the real usage with the estimated usage. Neither under nor over utilization is a good thing, therefore you should use this data to make future resource estimates more accurate. 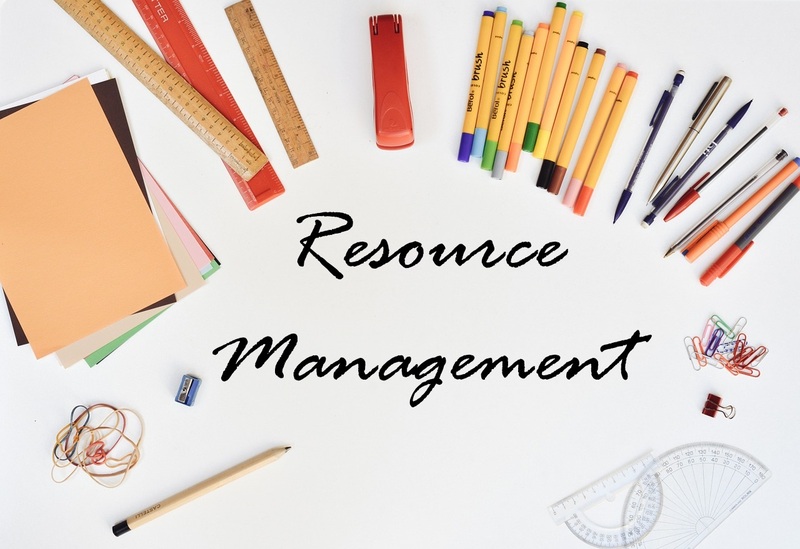 What You Need to Know about Resource Management (Aspects of Project Management Part 3) - InLoox • Copyright 1999-2019 © InLoox, Inc. All rights reserved.